- Plug & Play DC sensor. - optionally with transducer monitor current up to 300A. 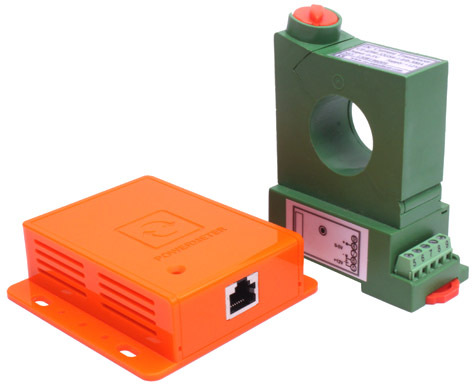 The optional green clamp is put around the power cable (max 300A) that you want to monitor. The clamp is screwed into the orange sensor controller. 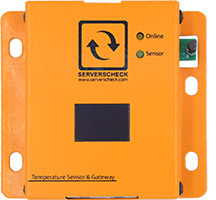 The sensor connects to a base unit (SensorGateway) using a standard network cable. The network cable	tranmits data and power between the base unit and the sensor. The maximum distance between a sensor and the base unit is 100m/330ft when using a CAT6/7 cable. Input Current: 0-300A DC with optional PWR-DC-TRANS. Readings in A (Ampere), V, W & kWh.